By Melissa Lennig on May 8, 2017 3 Comments. This content contains affiliate links. As an Amazon Associate I earn from qualifying purchases. 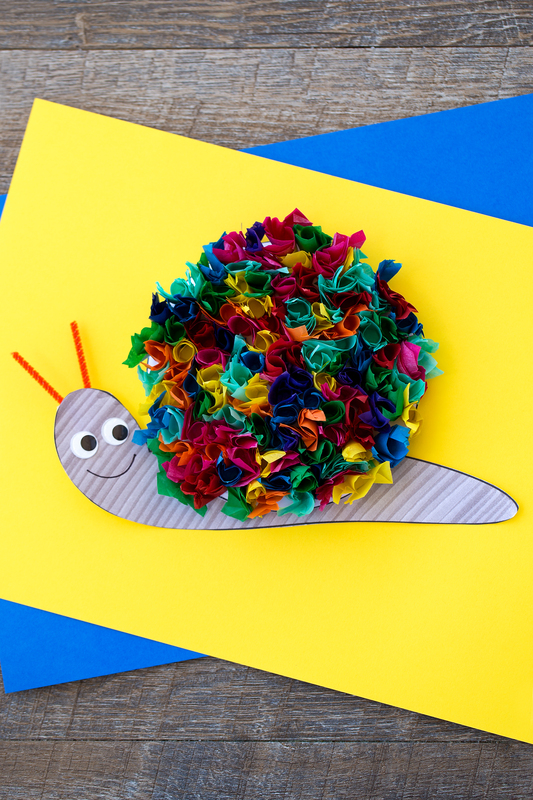 In this post, learn how to make a cute Tissue Paper Snail Craft with kids. 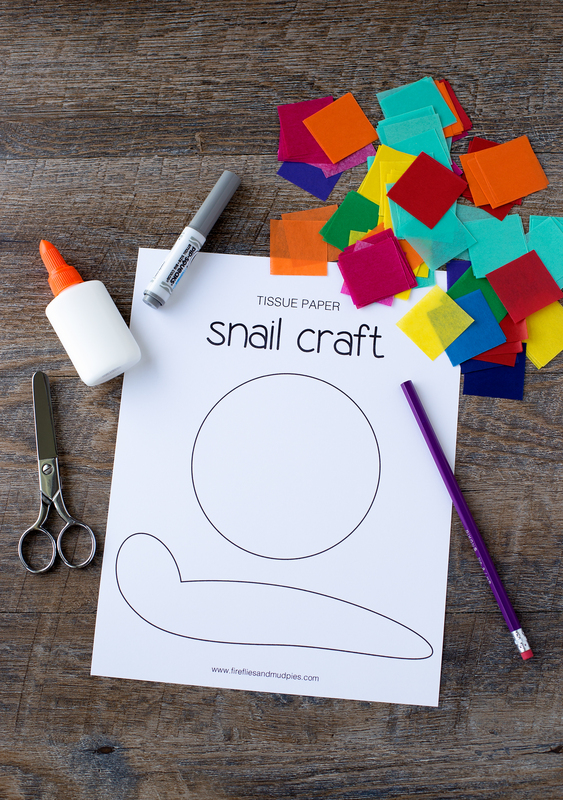 This easy craft includes a printable template, making it perfect for home, school, daycare, or camp. My first grade teacher loved tissue paper crafts. In between worksheets, free play, reading, and math, there were always baskets of tissue paper squares to create with. 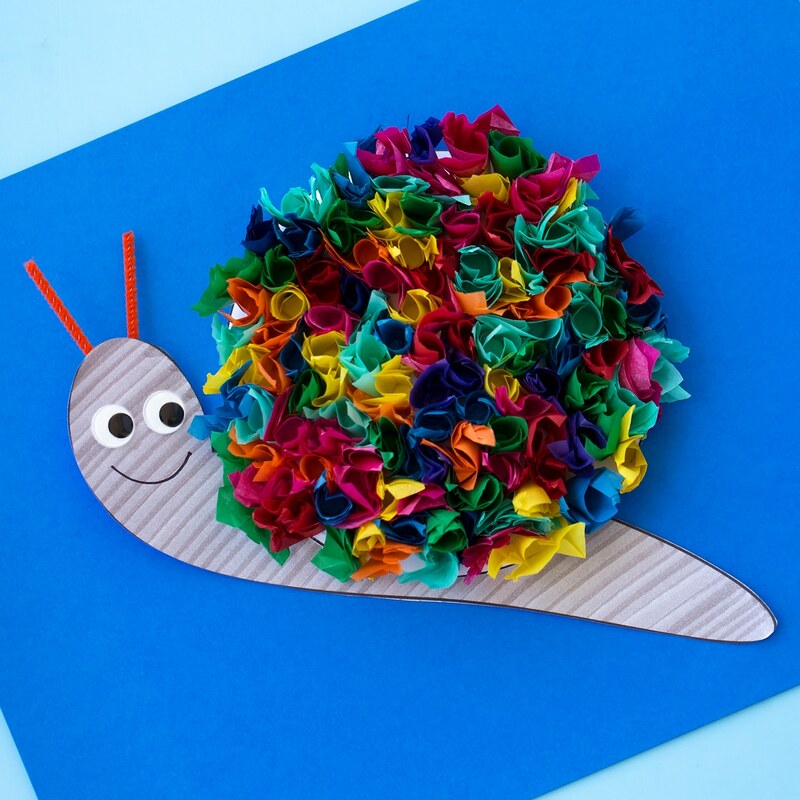 This tissue paper snail craft is perfect for kids who are working on developing fine-motor skills. If wrapping the tissue paper around the pencil is too difficult, kids could use their fingers to squish the tissue paper into a small ball or glue it on flat. Alternatively, they could simply color or paint the snail’s shell. 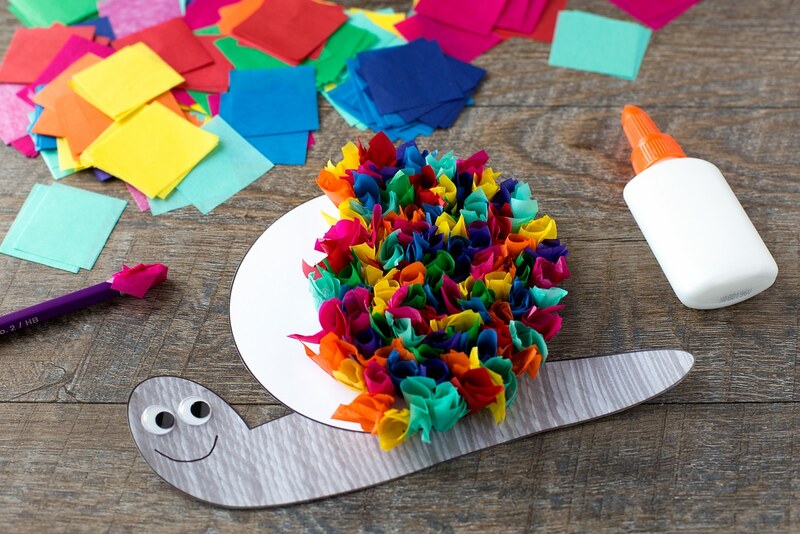 After gathering supplies, invite kids to color the snail’s body. We chose to use a grey marker, but any bright color would be a great choice. 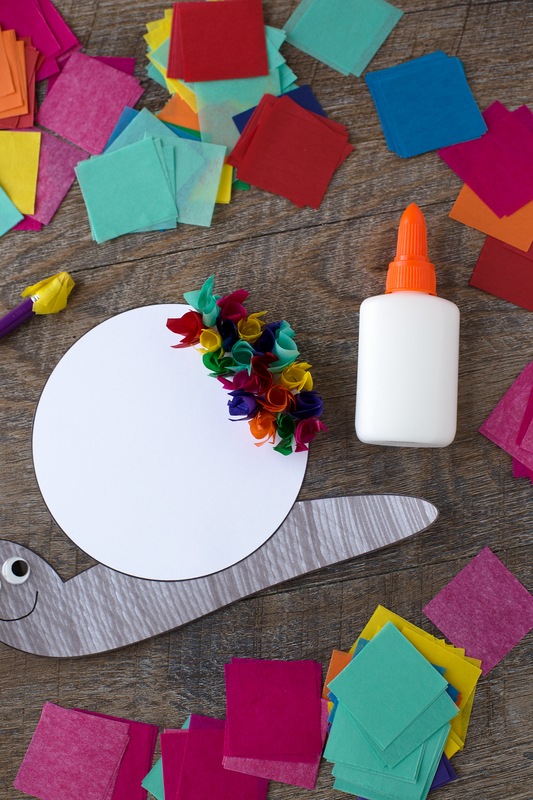 Next, cut out the snail’s body and shell with scissors. Tape or glue the snail’s shell to the top of the body. 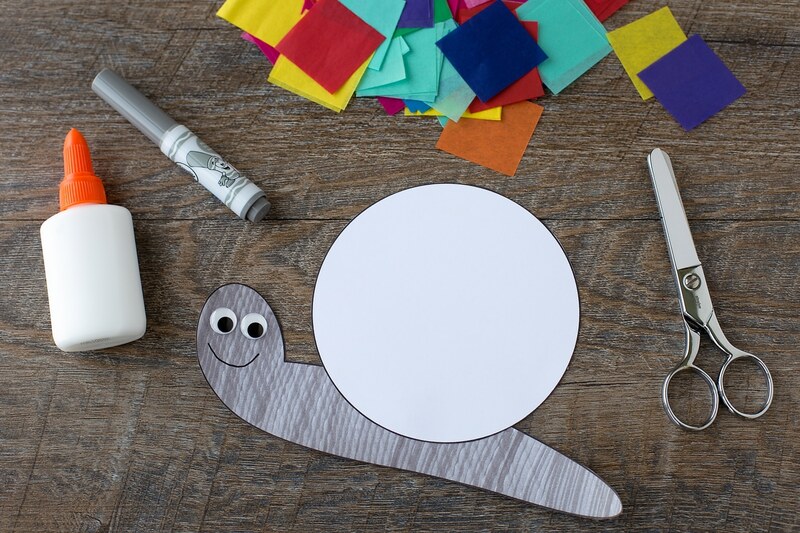 Glue 2 wiggly eyes to the snail’s face, then draw a smile on the snail’s face with a black marker. Press a piece of tissue paper around the eraser end of a pencil, squeeze a drop of glue on top of it, then press it to the snail’s shell. 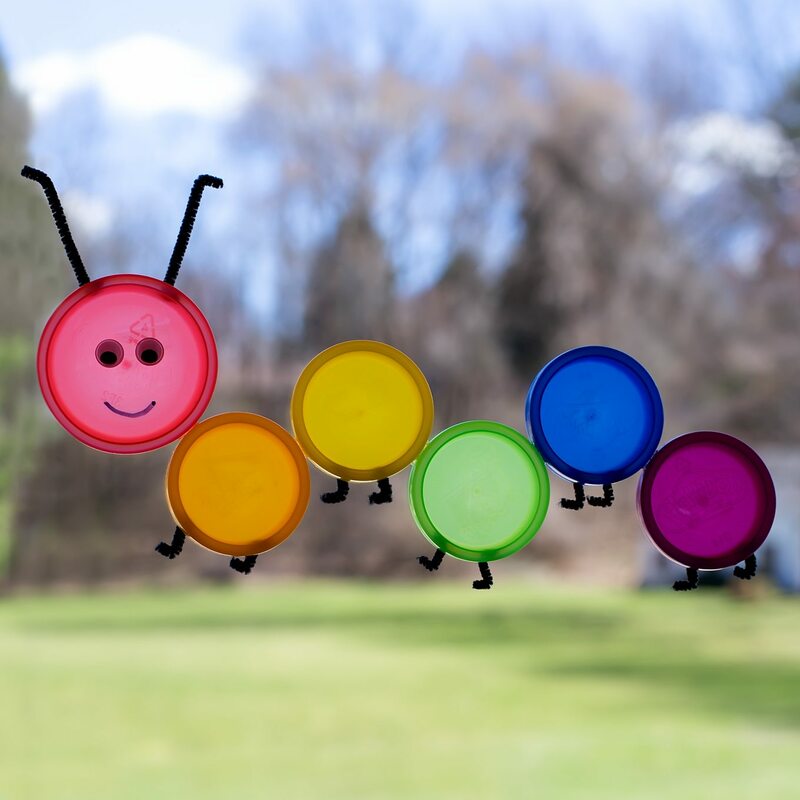 If you are making this craft with a large group of kids who are sharing supplies, pour glue onto paper plates so they can simply dip their tissue paper into the glue instead. Repeat until the entire shell is covered. Cute, isn’t it? My kids enjoyed hanging up their snails in their rooms. 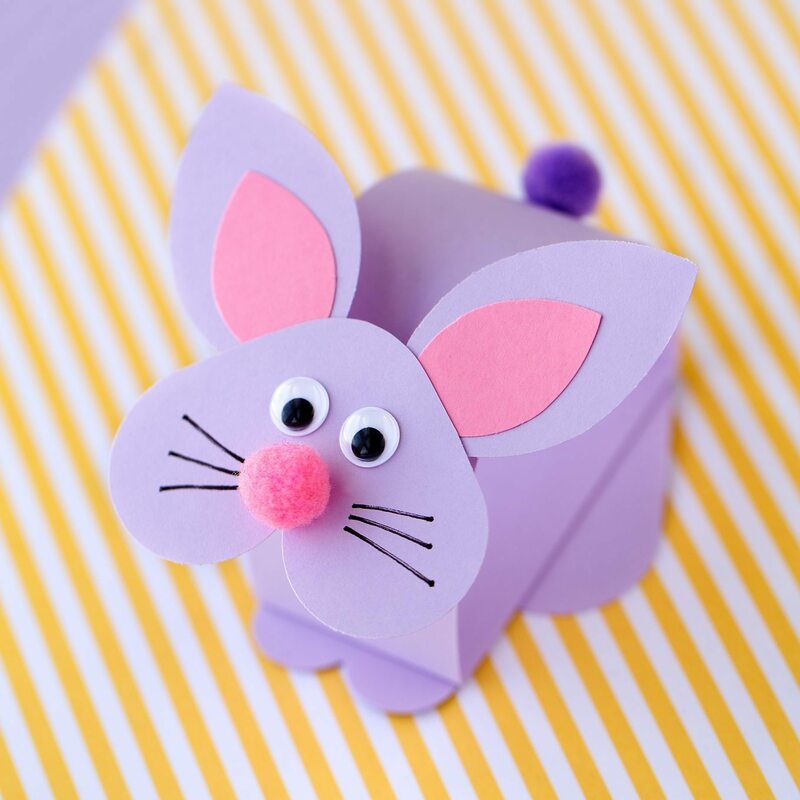 Click the images below to view more adorable animal crafts for kids. These are wonderful ideas.Will definitely be used this year. So cute and easy to make!! !